Live like a local with this private lunch experience in Kyoto. Enjoy the rare opportunity to visit a local Kansai native's home by visiting a professional chef for a home-cooked meal. 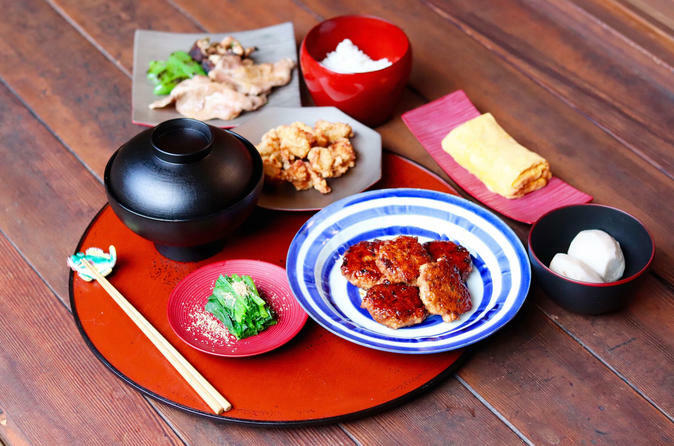 In a traditional tatami mat room, your can enjoy a Japanese feast that might include chicken meatballs with teriyaki sauce, ginger pork, and Japanese eggs rolls. Feel free to advise beforehand if there are specific dishes you would like to try.